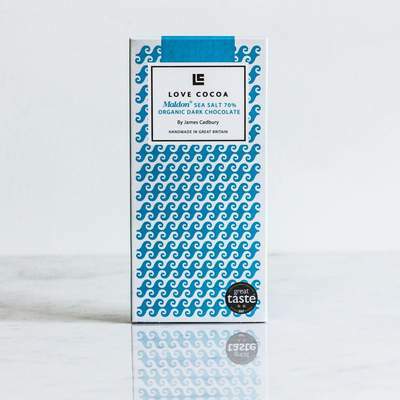 Hand-harvested crunchy Sea Salt flakes bring out all the flavours of our organic, fair-trade 70% cacao dark chocolate from Nacional in Ecuador. Make your taste buds dance! We believe good sea salt doesn’t need to come all the way from the Himalayas, so we save thousands of unnecessary food miles & get ours from Essex! Maldon Sea Salt, established over 130 years ago, has an unrivalled reputation for taste & quality, and if it's good enough for top chefs worldwide then it's good enough for us.